Each member must have a suitable removal vehicle(s) showing their livery and must have a UK Moving Group branded vehicle within the first 12 months of Membership. The member must have capacity within these above vehicle(s) to carry out a removal of at least 1000cuft in one trip. Vehicles need to be clean and tidy always, well equipped and fit for purpose and fitted with a walk-in loading ramp. Vehicle(s) must have adequate tie rails. Staff need appropriate training suited to their job role. Members must provide their clients with a fixed Quotation with Acceptance Form and Terms & Conditions agreed. Members must have appropriate insurances. The insurances required are: vehicle, goods in transit, employer’s liability, public liability. Members must demonstrate that they can carry out a domestic removal to UK Moving Group standard. (There will be an on-site inspection carried out at the customer’s premises). See quality control checklist. All staff must demonstrate a positive can do attitude at all times. Members must provide all customers with a UK Moving Group Customer Pledge leaflet at the time of survey. This must also be displayed on a member’s company website. Members must have a Claims and Complaints procedure. All employed staff must be on PAYE. All staff to carry company I.D. at all times. Members will have to pass an inspection by a Director of UK Moving Group prior to joining unless they are a current BAR member. 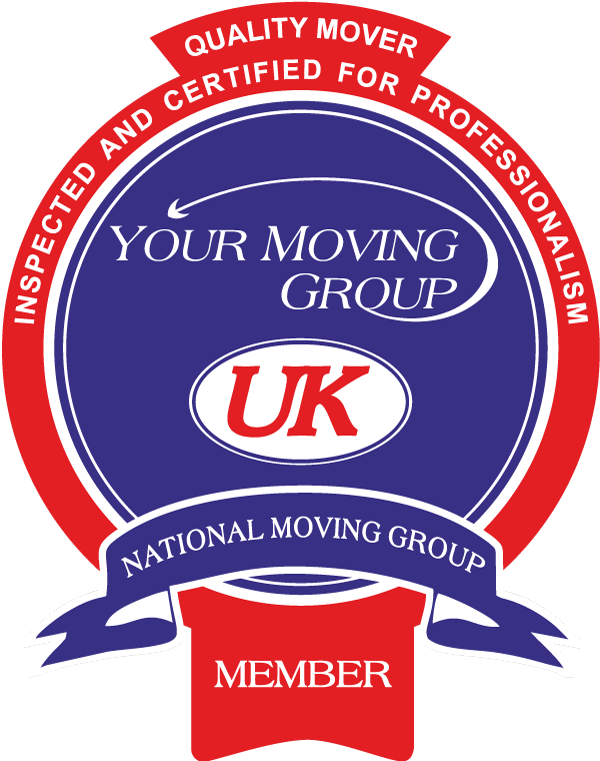 As a BAR Member, you will not need to be inspected but we will need a signed declaration confirming you conform to UK Moving Group standards. Members must operate from suitable premises. Members must have a dedicated office with a landline phone. Members must gain a Customer Satisfaction Report on all work completed. A Your Moving Group Customer Satisfaction Report sheet is to be emailed/posted to all clients one to two weeks after their removal as this gives the customer time to sit back and truly reflect on the service provided. Door covers and floor covers must be used at all times. Quilted sofa/armchair/bed covers must be used at all times. All soft furnishings need to be wrapped prior to moving. All operative staff members must be fully uniformed with safety shoes. Members must have a website showing all current information which is not misleading in any way. Members must provide evidence of financial standing to show vehicles will be well maintained at all times. Example : A maintenance contract with your local garage. Members must use suitable packing materials for all moves. We recommend always using Your Moving Group packaging as this will help to promote the brand quicker for everybody’s benefit. Storage of customer’s goods must be adequate and will be inspected. Storage must be clean, tidy, dry and organised. All customer’s goods must be identified with storage locations, full inventory of customer’s goods instore, rodent control in place, items must be adequately wrapped/protected. Members should network within the UK Moving Group and promote the brand whenever possible. Members must have a Quality Control programme in place. Members will be required to self-inspect moves on a regular basis to ensure that quality is upheld and complete the quality control inspection form. Members must use an odds/bits box on every move. This is for screws, bolts, remote controls, keys etc.